Stagecoach Highland has sneaked out proposed changes to bus timetables without highlighting that they have axed the Sunday service on bus route 44 between Fort William and Kinlochleven. They have failed to bring this to the attention of consultees such as the Highland Council or local councillors. The explanatory text on their consultation website makes no mention of this service withdrawal. Many local residents rely on this Sunday bus service to get to and from work. 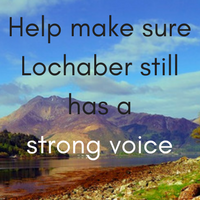 It is also popular with walkers and visitors in South Lochaber.The loss of this vital service will affect residents in Ballachulish, Glencoe, Kinlochleven and Nether Lochaber. Please help convince Stagecoach that the Sunday service is retained by signing the petition below. The petition will be presented to Stagecoach at their public consultation event in Fort William on Wednesday 1st March. If unchallenged these changes will come into effect on 24th April 2017.